Comparatively, the Chinese, who earn less than we do, managed to save over 50% of their GDP, according to the Financial Services Board (FSB), followed by India at 30%, Brazil around 25%, and Australia about 22.5%. Last year, Statistics SA and Trading Economics released a report stipulating that the average South African household`s savings was down by -2.30 percent in the third quarter of 2016. These statistics prove that South Africans are battling to save money. However, in light of July being National Savings Month, we think that the time for saving is now. Make a list of all your expenses. This will help you determine where you can cut down on unnecessary costs. If you`re spending more money on wants rather than needs, then you should be prepared to eliminate certain unnecessary expenses. Draw up a grocery list. Grocery lists are helpful if you forget things easily - but this is not the only reason why they're good to create... Writing down a number of essentials you need, will also help you have more self-discipline by sticking to the list and not buying impulsively. Eat-in instead of at restaurants. If you're ditching restaurants for a few months, you will realise how much money you spend when eating out and tipping the waiters and how much you can save by eating at home. Carpool to work. Get a friend or colleague to carpool with you on your way to work and split the petrol costs. The more friends or colleagues you have in your car, the cheaper the trip. Just ensure you do not overload your car! Be on the hunt for freebies. If saving has made your budget tight for the month and you`re experiencing 'withdrawals' from entertainment, attend free events. Browse the net for free concerts, free entrances to nature reserves and parks or check regularly for any special discounts that may be of interest to you and your family. Apply for a debt consolidation loan. Debt consolidation loans are a great way to settle outstanding loan payments into one account at a rate that is affordable for you. Visit your nearest bank to find out which loans would be the best option for you at lower interest rates. Invest your savings. Saving money is not always enough. If you`re saving for a long-term goal, open a notice deposit account which allows you to add money monthly while your investment matures. This type of account is ideal if you`d like to be strict on your savings as you cannot withdraw money before the maturity date set by yourself. Saving your hard-earned money is essential to being stress-free when emergencies arise. 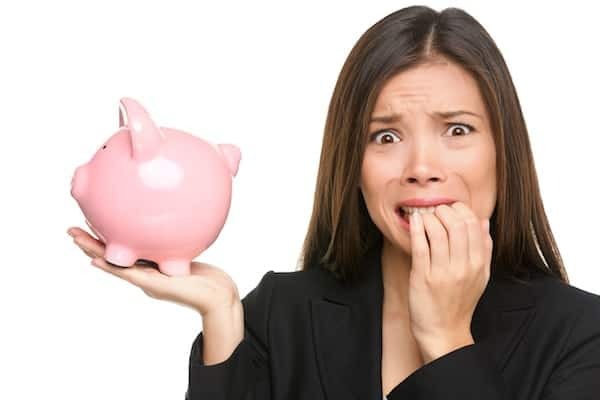 If you`re new to saving and your overwhelmed by all of this, start by saving small amounts each month and when you`re financially able, increase your savings amount every month.